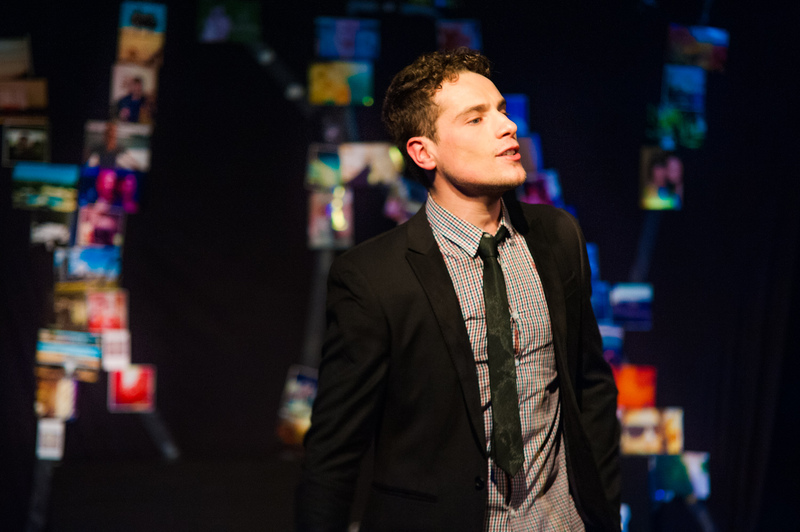 A cult favourite amongst music theatre cognoscenti, The Last Five Years is all too rarely seen on Melbourne stages. This popularity, along with the relatively simple staging requirements, makes the show a wise choice for brand new theatre company Tall Trees Productions. Haven driven along Paynes Road on the way to work in another lifetime, it was a surprise to find the delightful venue Treble Clef Jazz Lounge tucked in on a street that is mostly noted for its cows. Warm and inviting on a chilly winter eve, the venue not only provided all manner of drinks and nibbles, but also afforded the audience and performers an intimate connection that served the show perfectly. With the idea for a musical told completely in reverse already taken, composer Jason Robert Brown came up with the unique concept of parallel threads told in reverse chronological order. The simultaneous raveling and unraveling of an ill-fated relationship is told with Cathy’s scenes starting from the break up and working backwards, while Jamie’s start from when he meets his “Shiksa Goddess” and move forwards to the inexorable unhappy ending. Told almost entirely through song, the musical is one of those rarest of breeds that treat the audience’s intelligence with respect rather than contempt. Careful listening rewards the viewer with insight into the fraught relationship, which begins so passionately and ends so poignantly. Nuggets of information must be stored away for payoff later in the piece. At a brisk 85 minutes, and given the quality of the material, sustaining close attention is a snap. The temporal symmetry is aided by the unpretentious and focused direction of Jez Hunghanfoo. With the action contained on a New York-sized studio apartment, in which the audience are practically part of the furniture, Hunghanfoo matches musical clues with visual stimuli, the centerpiece being the two halves of dialogue scenes which flank the central song, “The Next Ten Minutes,” which is the only one the pair performs together. Jamie eventually leaves the breakup note we have seen Cathy find in the opening. The pair are seen in a brief waltz during the overture, which previews their one central scene together. In a cruel twist of the staging, the double bed at the centre of the set is only seen in use for an extramarital fling. Music Director Evan Englezos has put together an excellent band to bring the tight orchestrations to life. Conducting and also playing guitar, Englezos ensures that there is not a note out of place in the revered score. Whilst lighting and sound designer Adrian Barnard still has some work to do in balancing the band and singers, and tightening up lighting and vocal cues, this will surely happen over the course of the season. 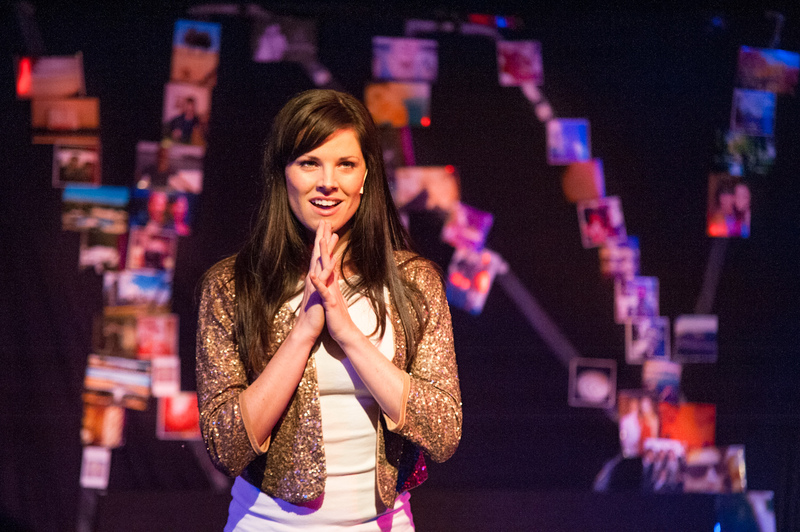 Angela Harding hits the ground running as insecure music theatre actress Cathy Hiatt. Harding grounds the emotion of the entire evening with her superb first song “Still Hurting,” in which we can see that she is indeed still hurting due to the tears welling up in her eyes. To instantaneously garner the audiences’ sympathies is a mighty achievement, and Harding does not let go for the whole run. To see Cathy become happier as the story goes backwards is indeed a most bittersweet relief. Harding scores some solid laughs with “A Summer in Ohio,” about out-of-town theatre, and even more when revealing Cathy’s insecurities during the inner-voice audition song “Climbing Uphill.” She may not have the traditional Shiksa Goddess colouring, but Harding has a gentle and natural appeal that makes Cathy an endearing and sympathetic character. Most impressive is Harding’s singing voice, which can flip into a head voice belt with deceptive, and highly impressive, ease. Luigi Lucente presents an enigmatic, layered characterisation of Jamie Wellerstein, not shying away from the fact that Jamie is the somewhat less likeable of the pair. A highly engaging performer, Lucente has a pure and gently understated delivery that very effectively draws an audience towards his performance. He makes Jamie’s ambition, determination and infidelity entirely believable and understandable, leaving the judgment of Jamie’s actions completely up to the audience. “The Schmuel Song,” Jamie’s upbeat Christmas tale, is a terrific showcase for the sparkle of Lucente’s potent storytelling pizazz. Watching the two highly accomplished performers working in close proximity makes us only wish to see more of them together, and that is the aching beauty of The Last Five Years. The production will surely only grow in terms of technical proficiency and even further layering of performances. Music theatre lovers should afford themselves of this chance to see the show live, with the season at Treble Clef making for an ideal night out. 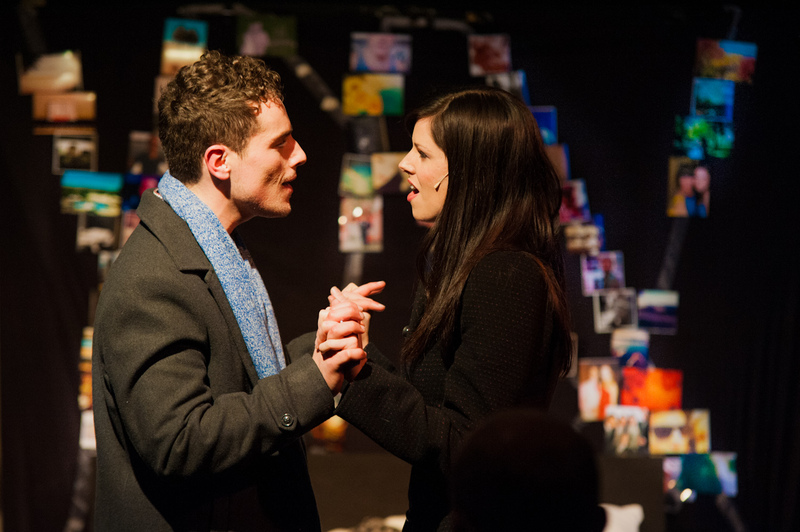 The Last Five Years plays at Treble Clef Lounge, Chirnside Park until Saturday 29 June 2013. A second season commences 17 July 2013 at Theatreworks, St Kilda. This review published on Theatre People 27 June 2013.